There are different need situations, we have the suitable answer for each of them. We offer our customers a comprehensive range of services, from dedicated material orders, through ensuring availibility at our warehouses to the on-ttime delivery. In the supply chain we are responsible for the quality control, from the smallest batch to the most complete specification. At the request of our customers we also offer pre-processing and prefabrication via our own and external service centres. We combine individual services in our activities: SOURCING, SUPPLY i SHAPING. 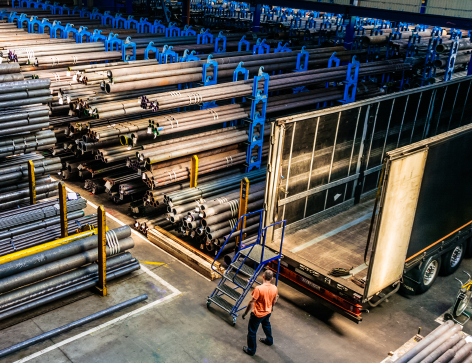 Optimized purchase of steel products for projects and orders in production quantities (dedicated purchase). We are responsible for searching and selecting suppliers and for purchasing the necessary materials. At KÖNIG STAHL you have a familiar contact person. We are at your disposal during the entire purchasing process. In this way, we can meet your material quality, delivery and scheduling requirements, whether it’s a project in Europe or beyond. Your material stock in the best hands. Just in time deliveries from ourwarehouses. With one of the largest warehouses in Poland, we can provide you with quickavailability of the required goods. We supply you with the required quantities from our warehouses. We take individual bundling, packaging and marking to your specifications. The same applies to the delivery of goods – transports carried out by our partners even several times a week to your area. If there is a regular need for repeated material specifications, we are happy to conclude framework agreements for a fixed period of time. The right quantities are reserved for you and are available at your fingertips. The agreed purchase price means an additional financial security for your company. 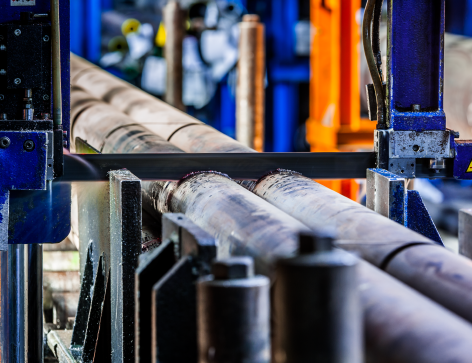 With our cutting service, we help to prevent the formation of cost-consuming residues and scrap. Using the most modern high-performance band saws, we can, on request, make fine cuts, angle cuts (single- and double-sided), and also support you in series cuts. Facilitates handling of long materials. Optimization of the use of materials. 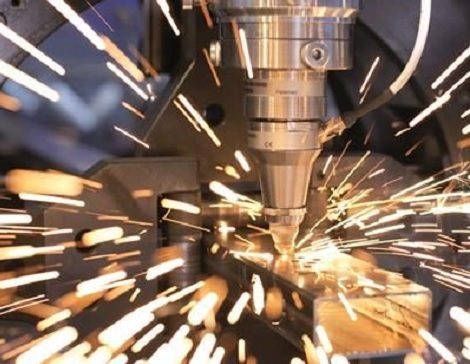 Transfer the risk of material cutting errors to us. Speed up project completion by delivering materials in the right lengths in the JUST IN TIME system. Ready-to-treat raw material, semi-component production directly from CAD. We support the optimisation of your production processes and take over further processing steps. 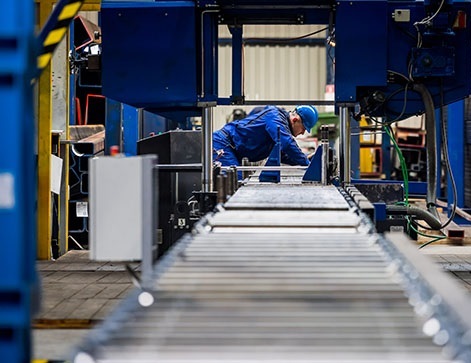 We use our state-of-the-art technology and processing platforms to provide adviceas early as the planning stage, as well as optimal use of resources and quality control throughout the entire supply chain and process until the finished production components are delivered to you. within a narrow tolerance range and does not require manual finishing. You can concentrate your resources on key activities. No cutting or machining on machining centres. Dimensional accuracy of cuts and contours, clean edges without finishing. 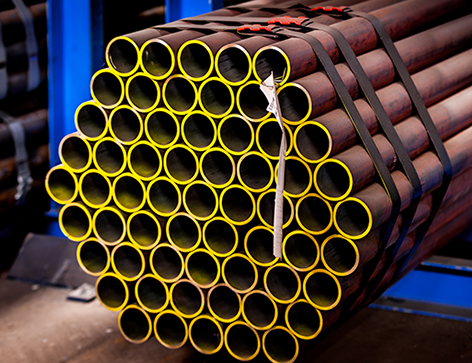 Elimination of measurements and manual markings, as well as expensive welding equipment. 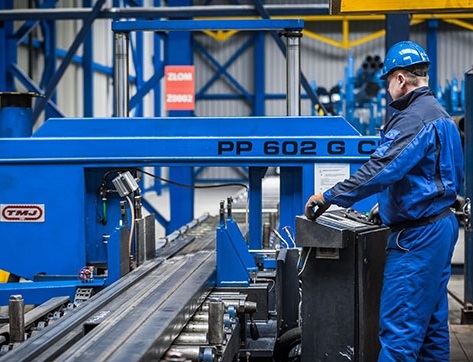 Increased welding quality and reduced downtime of welding robots. 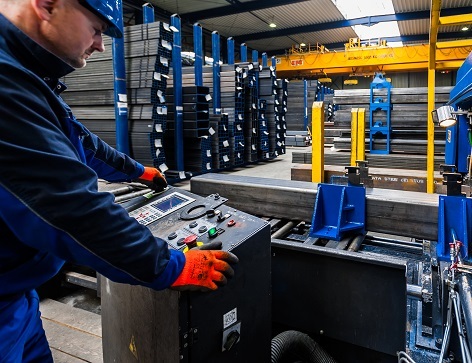 König Stahl offers you any kind of bending works of steel hollow profiles. 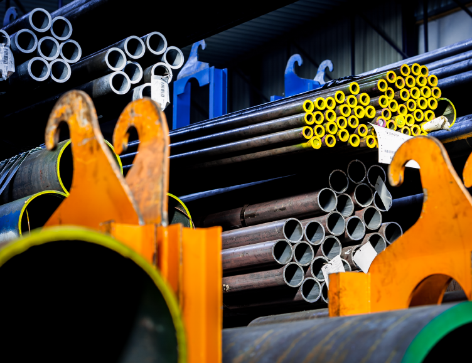 Decades of experience in the steel reshaping sector and the big machinery of our partners for cold and hot bending, roles and edges allows a quick treatment and the shortest delivery times.